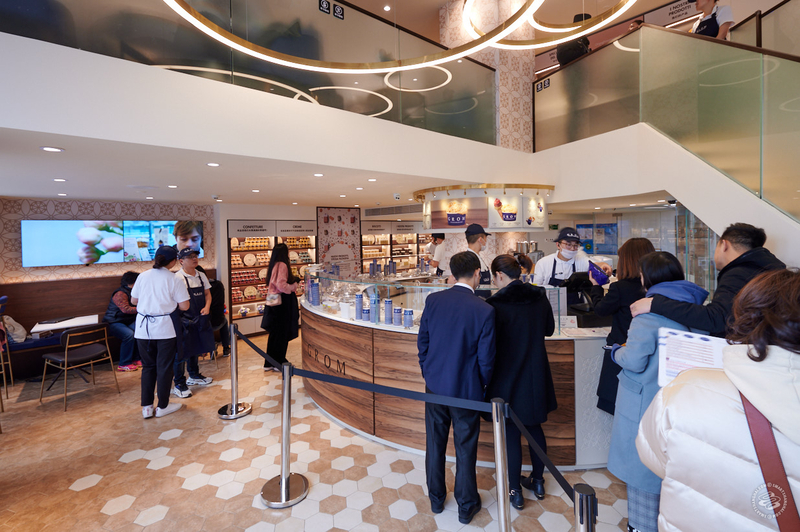 Just in time for the bone chilling Shanghai winter, Grom gelateria has opened its doors on Nanjing Xi Lu. Like a Milan fashion house, this Turin-based brand boasts branches in New York, L.A., Paris, London, and a host of other major metropolises. Its stock in trade is gelato "how it used to be made". This means no artificial flavors, colorings, additives, preservatives or emulsifiers. 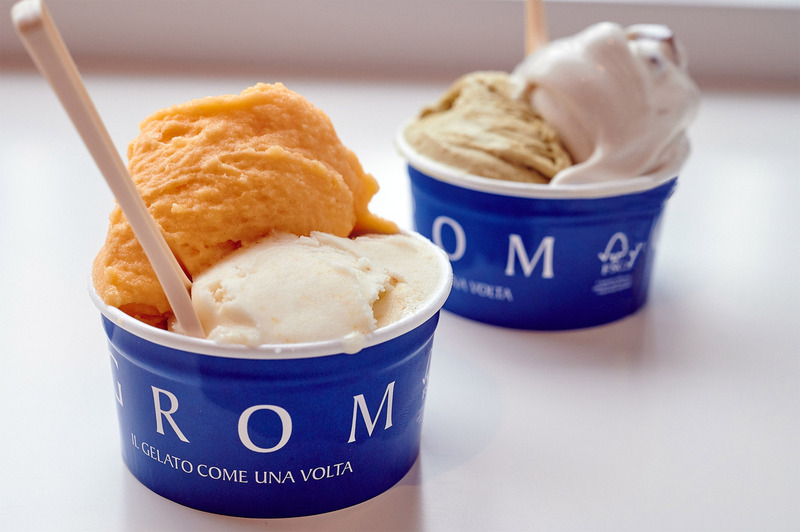 They operate their own farm, where they grow many of their own ingredients, experimenting with various fruit cultivars, discovering those best suited for gelato and sorbet. It's all explained in a looping video on a high-def monitor mounted on the wall. Then they make their own pre-mix in a central laboratory in Turin, seal it in plastic and send it out to all their branches worldwide. 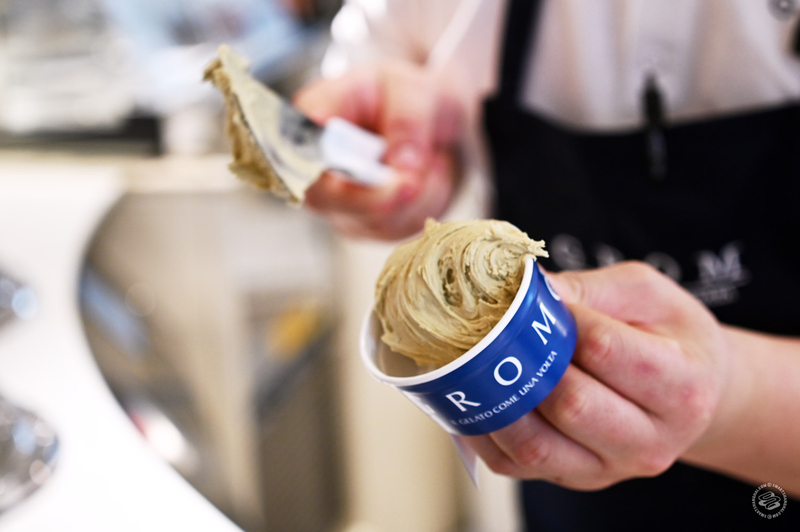 All the employees need to do is open up a bag, pour it into a countertop-mounted mixing drum in the display case, and the gelato starts to solidify in minutes. Some may scoff at the idea of pre-packaged mix. But it solves the quality control problems of operating internationally. And the product speaks for itself. It's good. 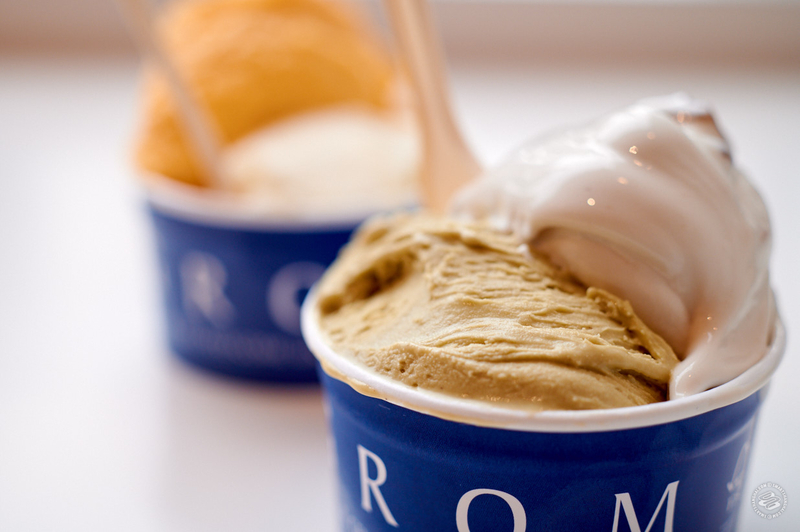 Flavors are mostly classics: stracciatella, vanilla, espresso, pistachio. But you'll also find unique seasonal flavors, like candied chestnut — definitely worth trying. A smaller selection of sorbets features some flavors you don't see much of here, like apricot and pear. Go for the pear. It's bright, crisp, refreshing. Be warned, however: Shanghai has an inexplicable proclivity for waiting in long lines for ice cream, and Grom is just the kind of import brand that will attract hordes of selfie-snapping social media-ites. On our visit, the line was just about out the door. I expect it will spill out onto the sidewalk and then some once word really gets out. Grom, 772 Nanjing Xi Lu, near Shimen Yi Lu, 10am-10pm.